Even if your kids are older and have been immersed into screens, virtual worlds and all that technology has to offer for years, it’s not too late to have the “tech talk.” Your children are entering adulthood in a world defined by technology. As a parent, it’s imperative that you provide your children with the tools to be cyber aware. Kids also need you to help them build an arsenal of techniques to self-soothe. They need to be able to develop and sustain friendships and social interactions without the use of technology. Realistically, there are positives and negatives to everything associated with technology. So as a parent, what does it mean to empower your preteen or teenager with technology? Have your kids understand the ways to use technology for good and understand how to avoid getting into trouble with poor decisions. Have your children understand what respect for themselves means and how to apply that to respect for others. Help your children understand the concept of empathy for others. Help your child find a balance between their online world and their offline world. Talk to your kids about what home technology rules make sense for how you want to raise your child in a world filled with technology. 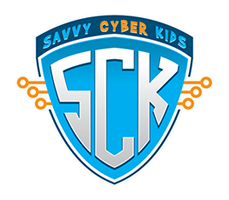 Complete the Savvy Cyber Kids Technology Pledge below, a set of suggested rules for technology that will get your family thinking about cyber ethics and privacy as your children explore new technologies, create new accounts and begin a lifetime of maturation while using technology and social media. Your email address and selected items will not be stored or used by Savvy Cyber Kids. By filling out this form, the information will only be used to email you a copy of your Technology Pledge. Technology enables me in many positive ways—it’s part of how I communicate with friends how I learn. By following these rules, I will be empowered by technology and safe and appropriate in the online world. My usernames, social media profiles, and/or gamer tags will not include any personal or private information. I will have several different, not easily guessable passwords. My parents will always know my passwords. My profile pictures will not have nothing that can identify me (because these are public images!). I will set my account profiles to private and will leave account information blank. If there are required fields, I will discuss using alternatives with my parents. I will accept my parent’s follow requests and not remove them. I will know all my virtual friends in the physical world (school, neighborhood, sports team). I will only accept people as followers that I know in the physical world. And I will only follow people that I know in the physical world (exceptions are companies, celebrities, musicians, athletes, organizations, etc). If I follow a company or organization, I will not let them follow me. I will tell my friends not to share my picture without asking for my permission first. I will not take and/or share inappropriate pictures or videos. I will never ask someone else to take an inappropriate picture or video. Pictures and videos of myself and other people must be fully clothed and bathing suit pictures may only be taken at the beach or pool. I will not post/share/repost pictures unless I asked the person or people in the picture first. Everything I post will be nice and positive things online no matter what the context is. If someone else posts something mean, I will not engage by commenting, liking etc. ; I will add something positive, tell an adult and/or ignore it. If a mean comment is made towards me, I will not react immediately. Instead I will reach out for help to decide if I should make a positive comment back, block or remove the poster, or ignore the creator of the mean behavior. If I am not sure if a picture or video I am about to take or share is inappropriate, I will think of what a parent or grandparent would say if they saw it. I will not create other social media profiles my parents do not know about. I will not use my technology during a meal with friends and/or family. I will charge my phone and other technology in another room when it is time for bed. When I game with strangers, I will not share any personal or private information.